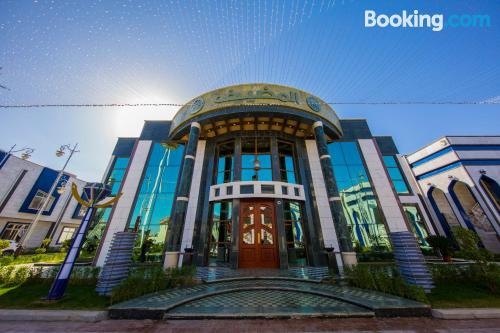 Located in Karbala, Seyed Al-Awseia City Resort-Karbala provides free WiFi. All rooms have a kitchen, a flat-screen TV with satellite channels, and a shared bathroom. Each room comes with a balcony with garden views.